Don’t you hate scrambling for a last-minute gift? We have the solution for you! Welcome to the Gift Closet Giveaway Hop, an event sponsored by Savings in Seconds. Each participating blogger wants to help you save time, money, and a little sanity by stocking your gift closet! Just hop to all the participating blogs for your chance to win great family-friendly prizes. Be sure to enter the Grand Prize giveaway, sponsored by Pfizer. I’ve got a prize that I’m sure you’ll be so tempted to keep for yourself: an 8 GB Building Block Flash Drives! Building block memory stick has been designed to look like the popular building blocks in your childhood. Keeping a USB flash drive that is shaped like a toy will consistently remind you stacking those blocks in your childhood. The memory stick comes in a 8gb storage. This is a fun little gift that that is perfect to go with a gift card. I think it would also be a great gift for dads! This giveaway is open to US residents ages 18 and up. Giveaway ends Sunday, 4/10/16 at 11:59pm EDT. To enter, just use the widget below. 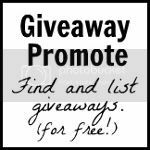 After you enter, keep scrolling to see the complete list of giveaways. Good luck! Disclosure: The Gift Closet Giveaway Host & participating hop bloggers are not responsible for sponsors or self-sponsoring bloggers that do not fulfill prizes. I handmade my grandma a cover for her sewing machine and she loved it. The best gift I gave anyone was my respect. Nothing can compare to it. I got my husband tickets to the Packers game, which he was thrilled about! Best gift I ever gave someone was my time. Best gift that I have given is a diamond ring to my wife. I bought my daughter this really cute bracelet with a circular charm of a map from important cities from her life. Where she was born, where we lived, where she went to college, where she lives now and where she went on her honeymoon. I got my Mom a beautiful necklace that she wears all the time, then she turned around and bought me the same necklace so we both wear one! I gave my mom a scrapbook for her 50th birthday. I requested notes from friends and family members of favorite memories with her and photos if they had them. It made her cry…it was good to see her so happy and show her how much she is loved. I don’t know if its the best but I gave my ex his freedom, its something that he wanted and so I let him go. Its a good feeling and I feel wonderful!! The best gift I ever came someone was the education we paid for for all of our kids. I made sure to scrimp and safe money since they were infants so they could all go to college. All of my adult kids went to school on a combo of scholarships and saved family money. I am very proud that they graduated and they turned into nice adults too. The best gift was, flowers to my mother. I think the best gift I ever gave a Hobbit Lego set- the reaction (and dancing) was wonderful! Diamond earings for my mother! The best gift I ever gave was when I bought my mother a new TV for her birthday. I gave my husband a son on his birthday. He and our youngest now share the same birthday. I gave my hubby a weekend fishing trip with his friends. The best gift I gave someone else would probably be a pair of designer sunglasses. The best give I ever gave someone was at Christmas. Choosing a person in need and giving them a Merry Christmas. I got an elderly gentleman, his tears were showers of blessings to me. The best present we gave was when we secretly arranged to get a group photo of all of my parents grandchildren who live across several states to for their 50th wedding anniversary. The best I ever gave someone was my time. I gave a trip to my parents. I gave my daughter a new car for her birthday one year when she really was in need of it. I once gave my husband a recliner for Father’s Day. He absolutely wore it out — loved that chair! The best gift I’ve given to someone was a pearl necklace that my Grandmother gave to me. I gave it to my niece right before her wedding. One of the best gifts I ever gave was to my mom. It was a vintage jewelry box that I found. She loves it so much. One year for my mom’s birthday, I drove to Colorado to see her. It was the first time we had seen each other in almost a year, and I told my dad to keep quiet about it. She was really surprised when I rang the doorbell! One of the best gifts was tickets to see Phantom of the Opera on Broadway for my daughter. She was so happy, she cried. My son’s work is having him take flying lessons for them. He loves it and has always wanted to. They have basic equipment and he really wanted some better headphones…I was able to find him a pair that he wanted.